We would love to hear from you. If you have questions, comments, or would like to inquire about our customized catering? Please send the form below with your questions and/or comments. Get the latest specials and coupons delivered straight to your inbox. We promise to keep your information private. 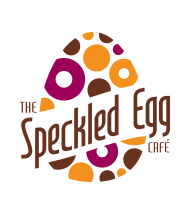 © 2019 The Speckled Egg.